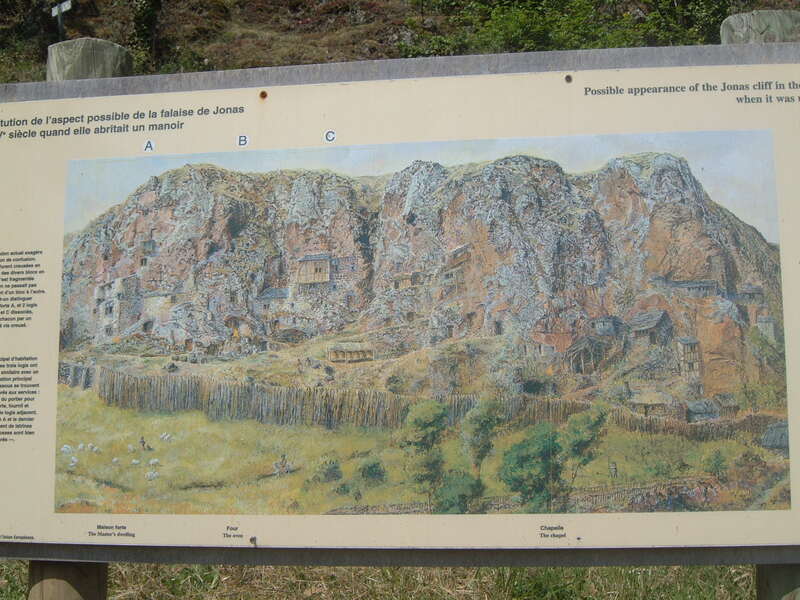 Life in Ruins Part VI – A Rock and a Hard Place. 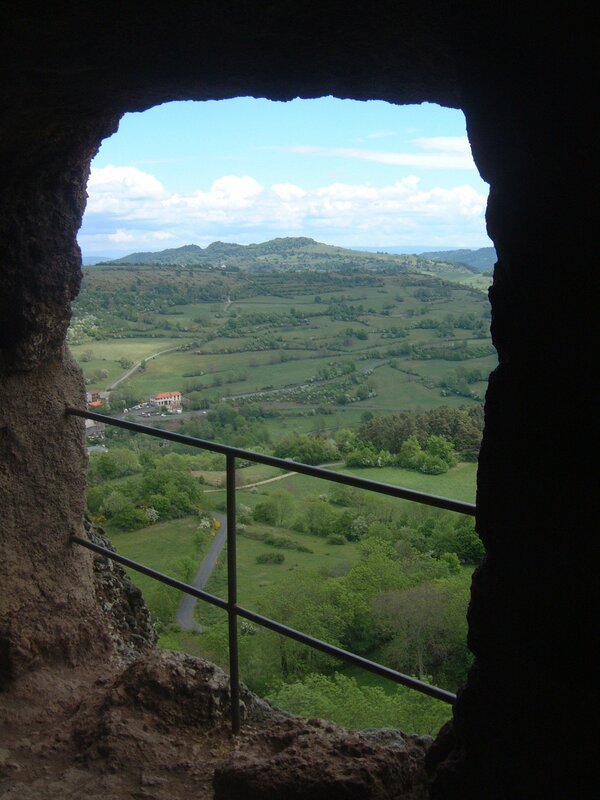 France’s Auvergne region is a wondrous land of extinct volcanoes and geological curiosities. 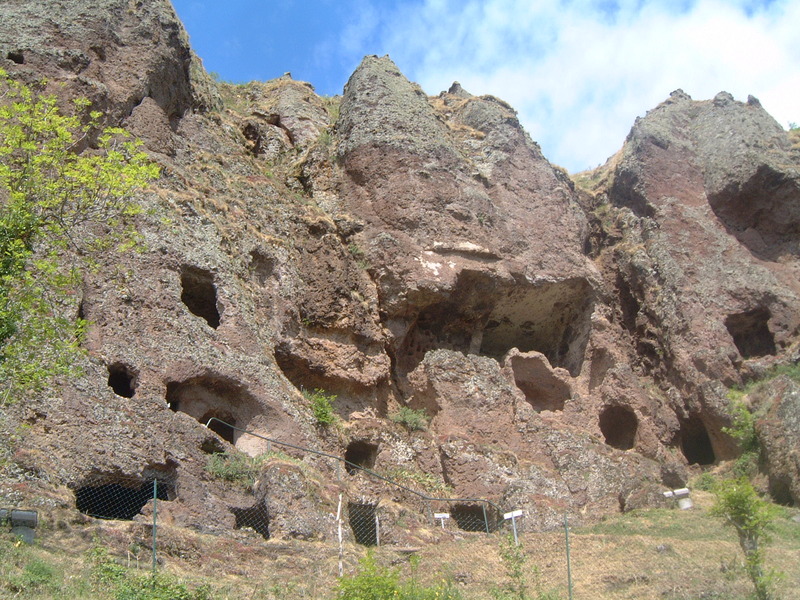 I was lucky enough to spend a while there a few years back researching the weird and wonderful sights the area has to offer and these incredible cave dwellings near St Pierre Colamine are one of them. 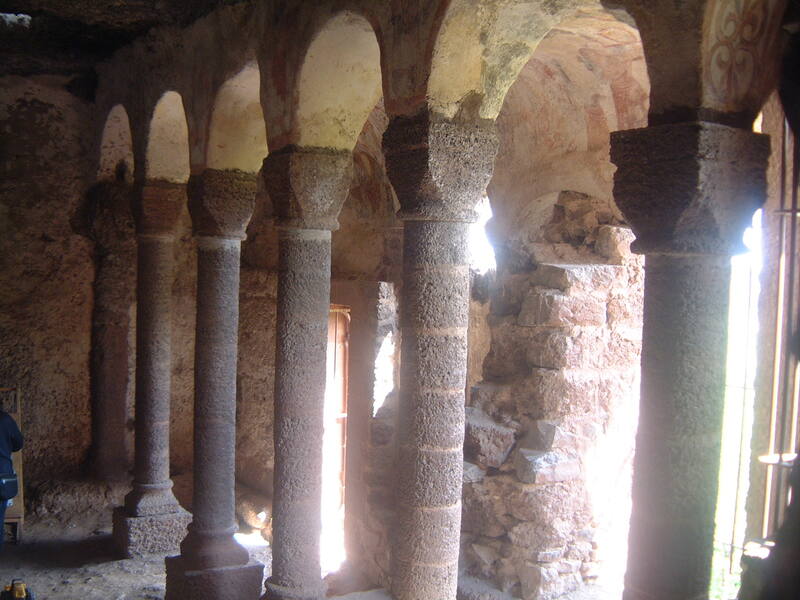 Carved into a cliff of soft volcanic tufa, these seventy rooms on five levels were begun by the Celts, became a monastery in the 10th century and later served as a feudal stronghold, when knights from a nearby castle moved in and added a stone facade and tower. With its network of corridors and staircases, ovens, latrines, living quarters, stables, armoury and even hospice, this was medieval high rise living par excellence. 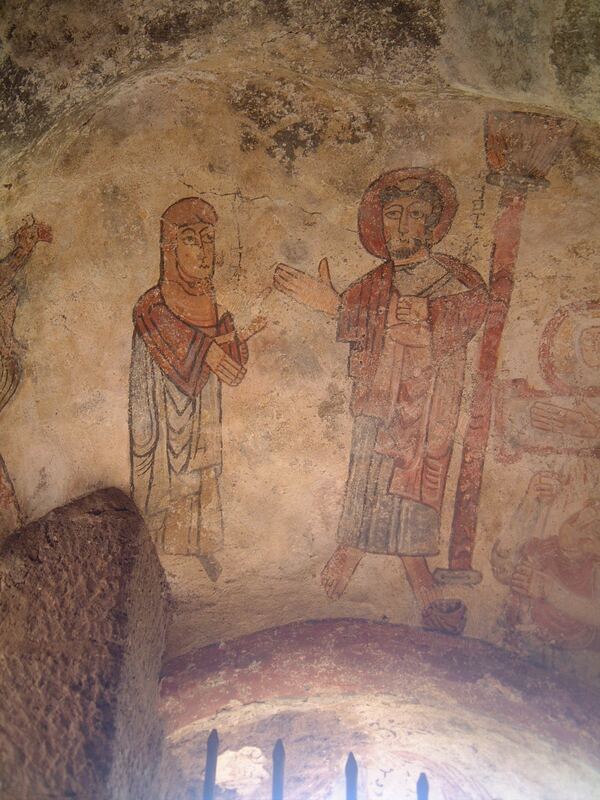 One of the most evocative rooms is the feudal chapel, where a series of ancient frescoes is remarkably well preserved. There are five of them: the denial of Peter, Jesus receiving the crown of thorns, the body of Jesus lowered from the cross, the discovery of the empty tomb and the Virgin Mary enthroned with the child Jesus on her lap. 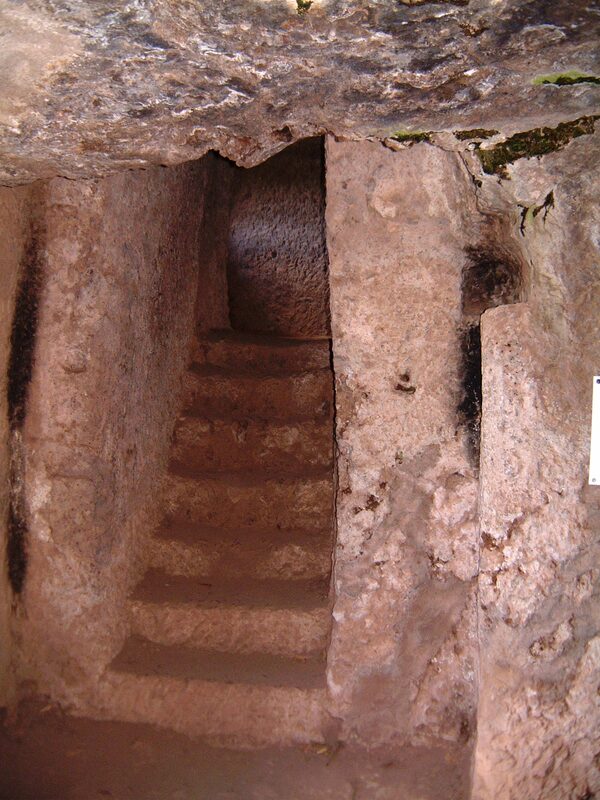 Legend has it that a group of Templars found refuge here after the suppression of 1309, whether this is true or not, it eventually passed into the hands of the Knights Hospitallers and was finally abandoned in the 17th century. 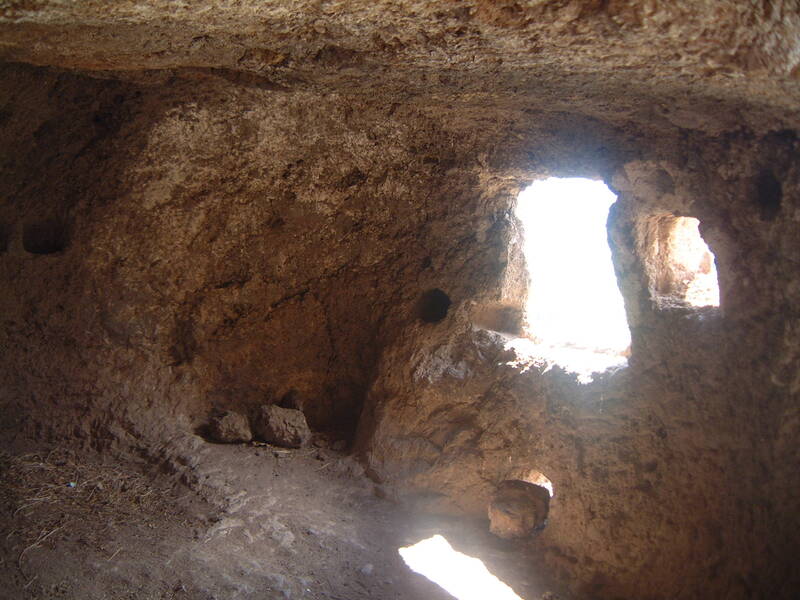 The caves fell into disrepair, their interior was plundered – even lime scraped off the walls and used as fertiliser – and the higher, more sheltered rooms were used to house pigeons. Restoration work was carried out in the 1950s and today, the site is a fascinating place to visit, to imagine life as it was lived by the monks and knights who made it their home so long ago, and to savour the unique atmosphere of this troglodyte ruin. Bolted: So what’s it all about?